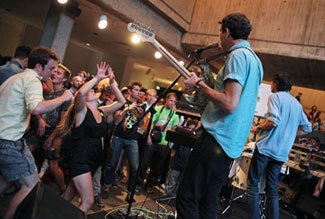 Headed to the Whitney to catch Tanlines again play their blend of electronic rock to a very fun crowd. Very different setting than the night before but I really enjoy seeing people dance inside a museum. 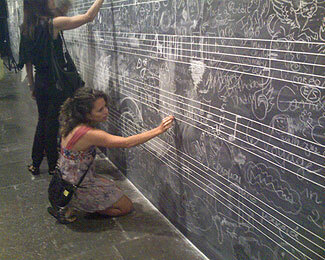 Afterwards checked out the Christian Marclay exhibit. He’s been an artist-musicican I’ve been following since college. His playful and experimental take on music has always peeked my interest and it was cool for the Whitney to give him space to explore some of his musical and visual ideas. Absolut hosted a free show with free Brooklyn Vodka all night. 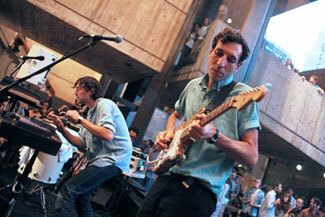 Tanlines started things off with their danceable music combining electronics and guitars. This duo reminds me of Professor Murder but with more of an indie angle. They drew a large crowd which left when Memory Tapes took the stage. 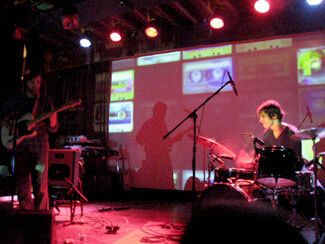 The other duo from Brooklyn played their dark but energetic electronic soundscapes. This is a band you gotta see live, and with trippy visuals, preferably under the influence of something. An impromptu set by 3 very talented musicians at the very hot Stone venue is a good way to get me back into the NYC music scene. Trevor Dunn on bass is best known for playing in Mr. Bungle in the 90’s and Peterson’s drums showed both his relaxed and episodic drumming. 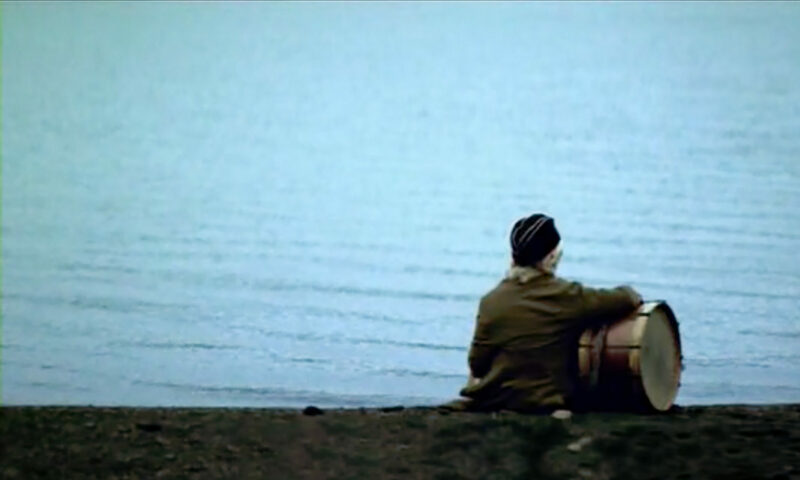 The music was very rich, quiet, chaotic, and intense. Exactly what I was looking for. When I travel I always try to catch local music to better understand the culture I’m visiting. While in Córdoba Argentina I was told about el Cuarteto, a popular form of music native to the city with origins in town dances held by Italian and Spanish immigrants. One guide book stated that it is the worst music known to man. And after experiencing the hyper movement and tropical rhythms at a pub it very well might be…. 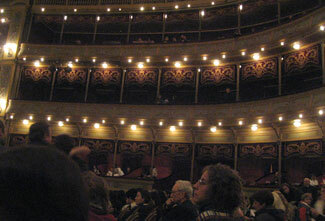 To compensate I attended a free chorus at the very beautiful Teatro Libertador San Martin. 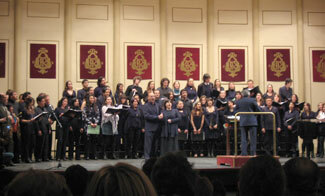 The concert was celebrating the 20th year anniversary of artistic director Hugo de La Vega. It was a beautiful set of songs by old and young voices and lasted for almost 2.5 hours. I left Córdoba by bus 30 minutes later with wonderful melodies playing in my head.